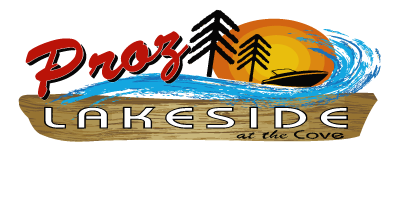 Welcome to Proz Lakeside at the Cove! Devils Lake's #1 place to Drink, Eat, Boat, Fish, and Ride! Come check out our Newly expanded Neighborhood Pub! We have a Dining Room, Outdoor patio, and fire pit seating also! Everyone is welcome. Walk-Ins Welcome, Good For Groups, Good For Kids, Take Out, Catering, Waiter Service, and Outdoor Seating. Our Bar opens at 8am, and has to be closed by 2am!